If this email is not displaying correctly, please view the web-version instead. 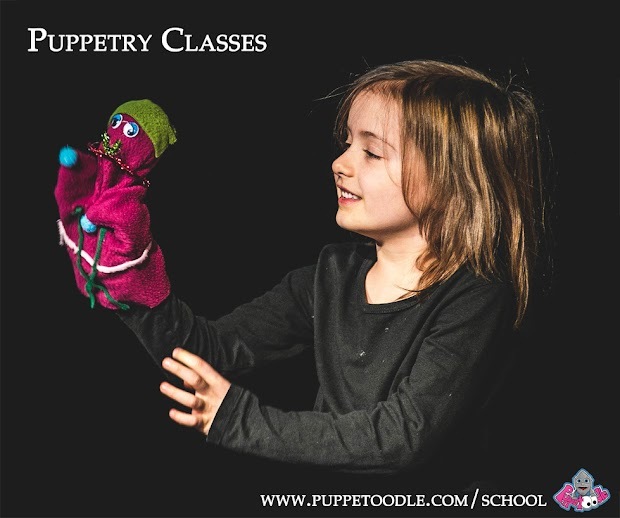 A new year of Puppetry Classes! After many very successful residencies at schools and arts centres last year, I’ve now undertaken to run my own puppetry classes (4 courses during school terms this year aimed at kids 0-12years at Turner Scout Hall), completely self-funded. As it is self-funded, I would really appreciate your support in my project to help me spread the word within your circles. The courses will be aimed at kids of all ages from babies (to attend together with a parent) to up to 12years. The low-cost courses will conclude with a performance for family and friends on 2 April. Longer terms are already planned for the rest of 2016. This year, I’ll also be teaching after-school classes at Tuner School. If you know a Turner student between the ages of 7 and 12, make sure you tell them about my new 10-week puppetry course, made especially for them! 2015 has been an incredible year and I’d like to take a moment to thank all my clients, students, parents and supporters who’ve made last year so magical. Here are just a few projects which made the 2015 PuppetOOdle calendar! Last year in March, when I delivered a series of 10 wetland puppet animals for a school on the Gold Coast, they were so pleased with my work, they decided to complete the project by flying me up to work with their students as artist in residence. It was a wonderful experience. In April I performed a series of shows plus led some very magical workshops with 4 groups of amazing young puppeteers between 7 and 13years at Canberra Youth Theatre’s Imaginarium festival! Together, each group created their own puppet videos against a green screen using a whole bunch of my puppets and my music! It was a fantastic program and look forward to seeing all the video creations soon! Last Easter, Jonathan and I performed a whopping 8 shows at the 4 day NFF in Canberra! We had a whole bunch of fun and had a lot of enthusiastic laughing kids and grown ups in every audience! We’ve already been put on the performers list for the festival this year – so make sure you look out for us if you’ll be visiting this year over the Easter Long weekend! In April, I worked closely with the National Museum of Australia on various aspects of their school holiday project surrounding a special item in their gallery, a traditional Toy Theatre from the 1800s. I was commissioned to design a printable stage for their online content and for the holiday workshops, as well as help write and star in their online ‘How To’ video. I also created a special stage show inspired by the original Toy Theatre that I performed during the holiday program together with kids on the stage. Across 10 weeks from May to July, I taught 20 young students aged between 5 and 13 years all aspects of puppetry from building puppets to performing them and everything in between. At the end of project, students showcased their work to a public audience over two days. The project was made possible with funding from artsACT and an artist in residency program from Belconnen Arts Centre. The project was an amazing success and look forward to continuing mentoring some of these students again this year! In June, the Canberra Theatre Centre asked me to run some custom puppet workshops for kids, based on the puppets in the Storm Boy production which was currently playing. In August, Turner School invited me to be their Artist in Residence during their Artist and Writers Festival. For 6 full days, I performed 6 shows + 2 marionette shows to the entire school, gave 17 workshops (5 of which were for special units) and led over 500 students in a puppet parade all with their own puppets!! Walking around the school I felt like such a celebrity with students calling out my name (or in fact adorably “puppet lady”) or running towards me in groups, asking all sorts of questions about puppetry. It was an absolute delight! In September, I received a special job to create a custom marionette puppet, for a school in the likeness of a board member of the school. With an incredibly tight deadline of under two weeks I had to design, sculpt, paint, sew, and also created all the costuming and the details. Over the last two school semesters of 2015, I’ve been working at Duffy Primary in conjunction with the Artist in Residence program, funded by artsACT. During my time at the school, I performed shows and taught students across the entire school in-depth puppetry classes, including a lunch time ‘Puppet Club’ as well as small group work with their unit that includes students from a non-English speaking background and various disabilities. I concluded my program there by creating a short film of all the students performing their puppetry skills learned during my program. A full documentation of my program at the school will be available soon.